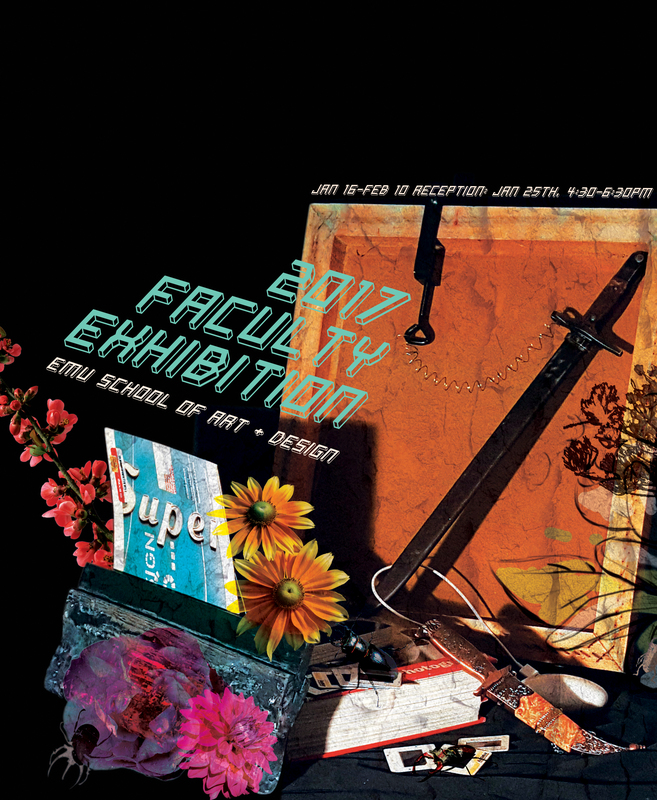 The task for this project was to arrange almost 30 Eastern Michigan University art and design staff members into a 2016-2017 faculty book. The identity of the show was a modernized Flemish art still-life, which would incorporate all the art and design mediums into one concept. The typography was intentionally 3D looking to update the Flemish to something found in the present. The spreads in the book begin from a baseline instead of a hang line to mimic the imagery, which comes up from the bottom of the page visually. This book was chosen to represent the 2017 Faculty Show at Eastern Michigan University.